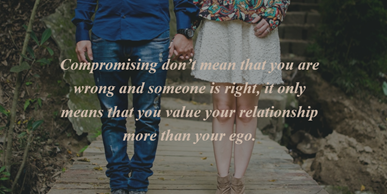 The ability to compromise is a vital part of our lives whether it’s to our family, lovers, co-workers or partners. The only thing should be paid attention to is that you should know where to bend and where to stand your ground. 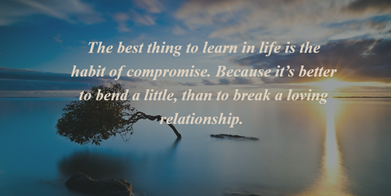 Here are some quotes about compromise that will show that learning to compromise needs practicing but it is worth your efforts. 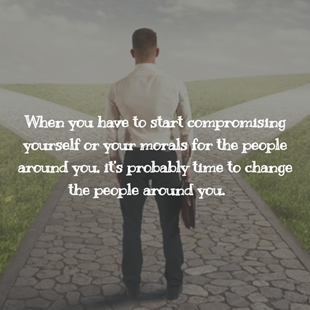 Compromising is a part of our everyday life. It helps to minimize difficulties and reach the result we need. All successful relationships require compromise. 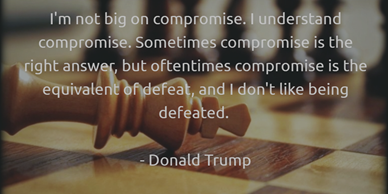 Sometimes it is compromise that improves us a lot. Sometimes you need to be strong enough to be soft. A relationship takes two people and you are no longer the only one making decisions. Compromise must show the balance and the sense of fairness. Art of compromise may save your relationship. And to fight your ego. 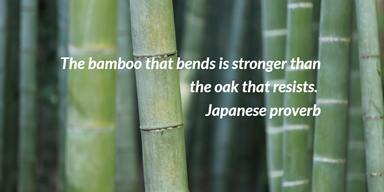 And it’s better to be resilient and don’t give up. Sometimes you may lose, but it is only to find something better. And sometimes you even can’t see those better things at once. The only thing you should not do is to compromise yourself. You should be aware of your worth. Be sure not to do something against your feeling, your nature or your principles. Be careful not to go too far. Think twice: maybe it’s time for changes in your life? Because sometimes the art of compromise may show its reverse side. And it may be perceived as a throw-down. Then compromise began to look unfair. And it doesn’t even look like compromise anymore. 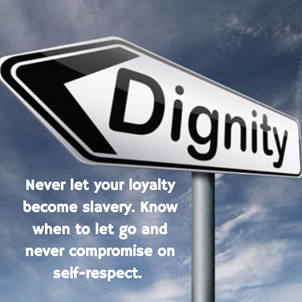 And even your principles become a matter of the compromise. Compromise and integration are great means to both sides to get what they want. 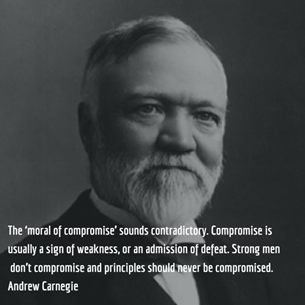 And never give up in learning to compromise even if you begin just from reading these quotes about compromise. Of course, it would be marvelous that everybody just gets what they want without any argues and compromises.